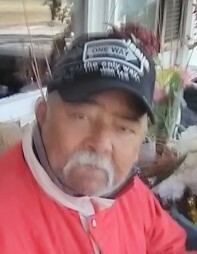 Donald Eugene Locklear, age 62, of Laurinburg passed away Wednesday, January 16, 2019. Donald was born February 15, 1956 in Scotland County, a son of the late Earnest Locklear and Aretha Bell McGirt Locklear. He served as a faithful member of the East Laurinburg Baptist Church where he enjoyed singing in the choir, working with the children’s puppet ministry and faithfully prayed for others. He enjoyed being a handy man and working in his yard. Family was most important to Donald and he will be remembered as a dedicated and loving husband, father, grandfather, brother, uncle and friend. Along with his parents, he was preceded in death by his son, Donnie Todd Locklear and daughter, Amy Locklear. Donald leaves behind his wife, Debra Locklear of the home; sons; David Skaggs (Becky) of Clinton, D.J. Skaggs of Leland; daughter, Lisa Jones (Charlie) of Lumberton and step daughter, Angie Barfield (Terry) of Leland, SC; brothers, James Earnest Locklear (Suzanne) of Wilmington, J.T. “Pete” Locklear (Debbie) of Laurinburg, Jimmy Locklear (Kathy) of Wagram, Malcolm Locklear of Gibson; sisters, Priscilla Driggers, Bessie Martin (Richard) all of Laurinburg, Brenda J. Locklear of Laurel Hill, Dora Haynes (Junior) of Wagram, Bonnie Milliken (Tommy), Vicki Mishue (Ricky), all of Laurinburg; eight grandchildren and a host of loving nieces, nephews and many friends. Funeral services to celebrate his life will be at 3:00 p.m. on Saturday, January 19, 2019 at the East Laurinburg Baptist Church officiated by Rev. Richard Tyson. The family will receive friends following the service on Saturday at the church. A private interment will be held at a later date.